Three-year-old colts Kentucky Wildcat and Cave Run step up to G3 level in the Sam F Davis Stakes over an extended mile on dirt at Tampa Bay Downs, USA, on Saturday, 9 February. Kentucky Wildcat (Tom Albertrani/Joe Bravo, drawn six), by Tapit out of Godolphin’s dual turf G1 winner Better Lucky, has progressed on each of his three runs and stayed on well to score by half a length in a mile dirt maiden at Aqueduct on his latest appearance at the beginning of December. Street Sense colt Cave Run (Eoin Harty/Jesus Castanon, drawn four) won impressively on his debut in a dirt maiden over six furlongs at Tampa Bay Downs in December and kept on to finish third in the seven-furlong Pasco Stakes at the same course on Saturday, 19 January. The field of 10 for the Sam F Davis Stakes is headlined by G1 Claiborne Breeders' Futurity winner Knicks Go, who was second in the G1 Breeders' Cup Juvenile, plus Stakes winners Five Star General and Well Defined. Tom Albertrani commented, “Kentucky Wildcat is training really well. He has progressed each time he has run and we are hopeful that he can continue his improvement here. “His dam was very good on both dirt and turf. It’s still a case of trial and error with Kentucky Wildcat but, as long as he continues to run well on the dirt, we will keep him on the surface. 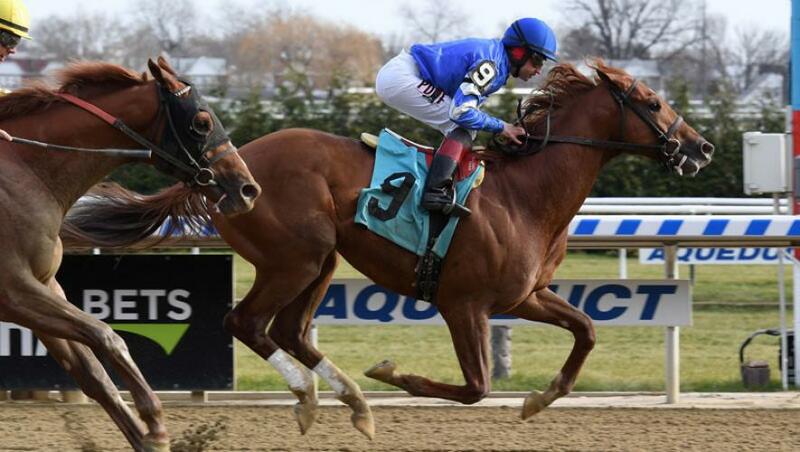 Eoin Harty reported, “Cave Run is very nice horse, who is getting better all the time. “He was very impressive on his debut and ran a good race in the Pasco Stakes, when he came up against some very tough opposition.